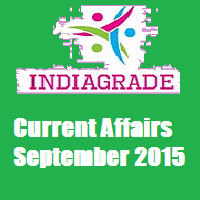 Current Affairs 1st September 2015: People from all over the India are interested to know the daily updates such as political, business, sports, national, international, entertainment. Here we provide the complete overview of today(September 1st, 2015) for your reference. So that you can easily know daily important information in one page. Our INDIAGRADE website is regularly updating all latest information through our social media pages. You can visit our official Facebook, Twitter, Google + page and get the information frequently. National Nutrition Week 2015 to be celebrated from 1st Sep 2015 to 7th Sep 2015 with themes of 'Better Nutrition: Key to Development'. Govt increases NTSE scholarships from 1000 to 2000 rupees. Government releases Rs 2000 cr for Employees' Pension Scheme. Uzbekistan's Independence Day celebrated today(1st September). Google has changed their logo to new look. Titanic lunch menu expected to fetch almost $100000 at auction. 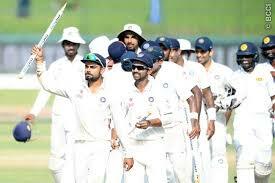 India beat Sri Lanka by 117 runs and won the series(2-1) after 22 years in Sri Lanka soil. Man of the Match: Cheteshwar Pujara. Man of the series: Ravichandran Ashwin. Ishant Sharma becomes 4th Indian paceman to take 200 Test wickets. Ishant, Chandimal handed one-match bans after ugly on-field clash.